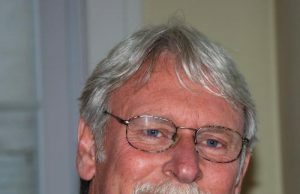 Dave Feickert, long time member of NZCFS, died on July 2nd, 2014, aged 67, after a long battle with liver cancer. He leaves behind his wife, Jiang Bingjing, and daughter, Sonia (by his first wife British author Marina Lewycka), as well as two grandchildren. As President of the Whanganui Branch, Dave was on NZCFS National Executive and at Executive meetings, Dave’s objective judgement on issues and his clear statements and contributions to discussion will be very much missed. Members of the Society knew him best as an advocate for coal mining safety standards, in particular in China and here in New Zealand following the Pike River Mine disaster. Dave was known to fight ardently for the underdog, but it is only since he passed away, that we have become aware of the many times during his life when he laid his reputation on the line for those who were unable to do so for themselves. Letters of condolence for Jiang have arrived from Nigel Haworth, Professor of Human Resource Development at the University of Auckland, Paul Tolich, Senior Industrial Officer of NZ Engineering, Printing and Manufacturing Union (NZEPMU), Ged O’Connell also of the (NZEPMU), Bernie Monk, public face of the group of most family members of the Pike River Mine disaster victims, and Frances O’Grady, General Secretary of the TUC in London, among many others. Accolades also arrived from Lord Monks who knew him during the catastrophic coal mining strikes in the UK in the 1980s, when he battled for the rights of the workers, and from Bernadette Ségol, General Secretary of the European Trades Union Confederation (ETUC) in Brussels of which he was a part and where he was a considerable asset because of his mining background. In 1993, after almost a decade working as Head of Research for the National Union of Mineworkers – his work involved preparing alternative plans for mines closed by first the National Coal Board and then the British Coal Corporation, he became the European representative of the UK TUC at the European Trades Union Confederation (ETUC) in Brussels. There he campaigned for, amongst many other things, sustainable development and he battled attempts by some governments and companies to introduce deregulation. He returned to New Zealand in 2003 where he worked mainly in promotion of miners’ health and safety. He was involved in a project sponsored by the Ministry of Foreign Affairs which brought Chinese mining engineers and miners to NZ, and he ran a health and safety workshop in conjunction with Solid Energy. Dave then embarked on a miners’ safety project in China where 1000s of workers have died over the years. 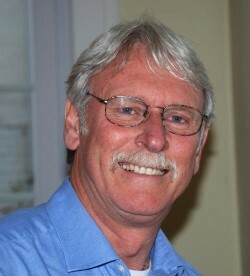 In 2007, he became , on behalf of NZCTU, project co-ordinator for the New Zealand-China Mine Safety Co-operation and was a consultant for EU-China mine safety: he raised money from the EU (9 million euros) and the governments of New Zealand and USA with an ambitious plan to provide more stringent safety conditions for the Chinese workers. He called on redundant Yorkshire miners and safety experts to run courses and give advice. Although the death toll in China is still very high, it has been cut by possibly 50% and accident rate by up to 70% – mainly due to Dave’s work – a fantastic achievement which has been recognised by the Chinese Government: in 2009 Dave won the China Friendship Prize for Foreign Experts. He also worked tirelessly for improvements in mine safety in New Zealand. He advocated a mines’ inspectorate, well–trained employees and regulations working together. He was also part of a group of mining engineers working to find a means of bringing out the bodies of the 29 Pike River Mine disaster victims. Born in 1947 in Whanganui, North Island, New Zealand, Dave attended Whanganui Boys College and obtained degrees at Victoria University (1967 and 2008) and also one at Bradford University in Yorkshire, England in 1979. Dave’s mother came from Bow in the East End of London and during the war she was nearly killed by a V1 bomb, which hit the house she was living in. Two of her brothers were in the army, one barely surviving a Japanese prisoner of war camp. His father was a NZ ship’s engineer running the Atlantic convoys later carrying troops to Normandy. The ship was hit by a mine and his father only survived by standing behind a bulkhead. This led Dave to believe that war must be avoided at all costs and was a lifelong advocate of peace and negotiation before ‘warfare’. His work was prodigious and he will be missed both by all those who profited from his working on their behalf as well as his many friends. He was a kind, charming man but a fearless advocate in all he did and he will leave a big gap for all those who knew him.